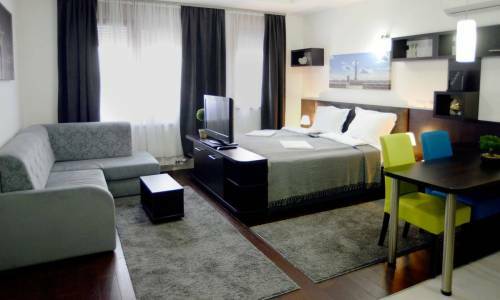 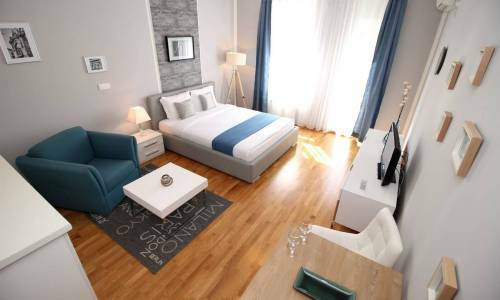 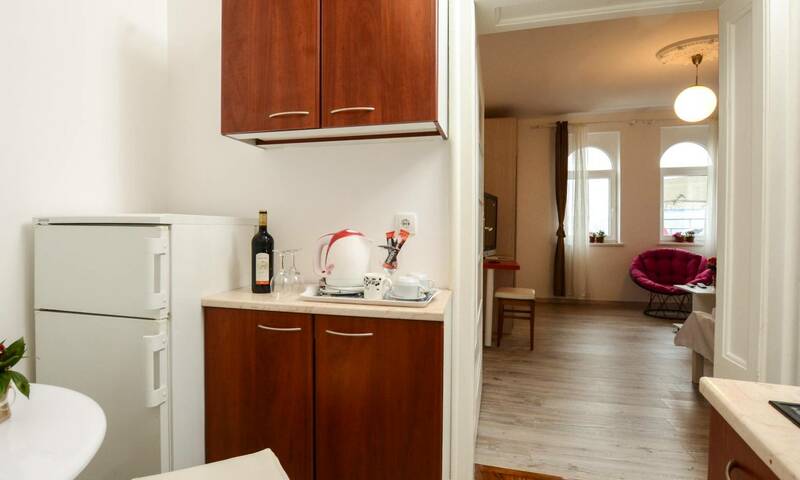 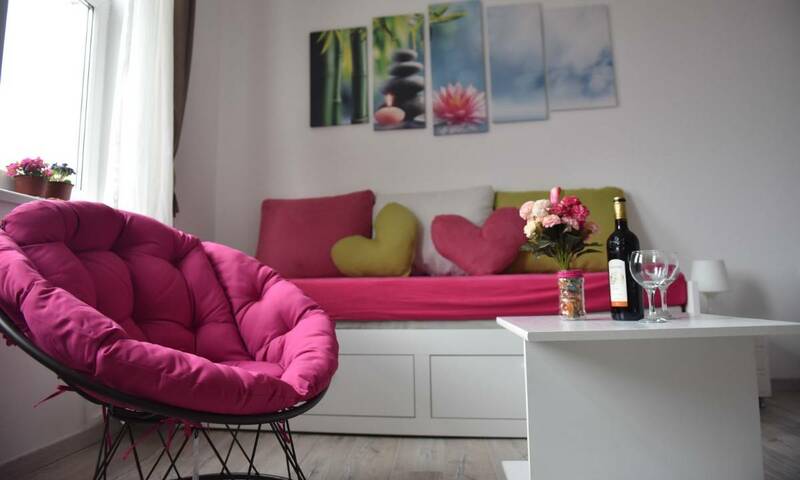 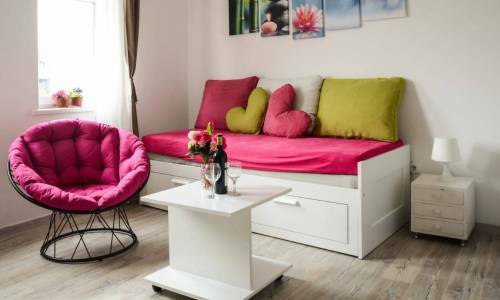 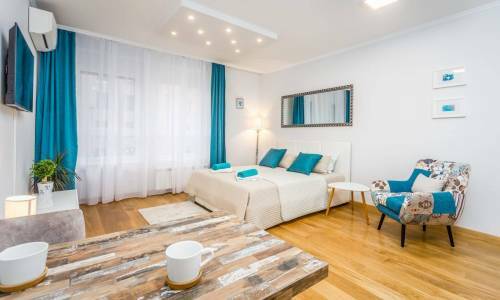 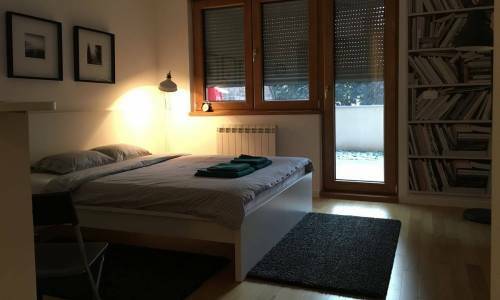 Apartment Jazz in Zeleni venac area has a wonderful view of the river Sava, the bridges, St. Sava Temple, Beogradjanka building and the city centre is only a few minutes of walking away from all the tourist sites in Knez Mihajlova street and Kalemegdan fortress. 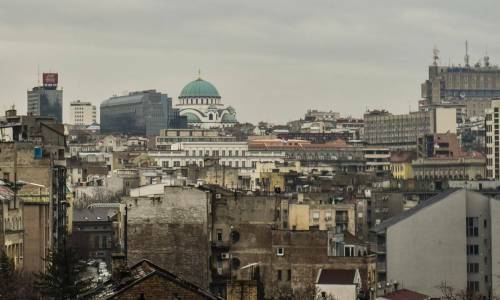 The Shopping Centre Usce is one bus stop away. 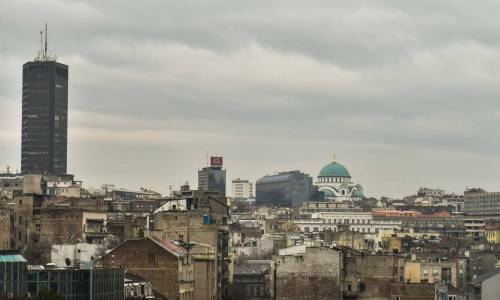 Savamala is also at hand, the current hot spot of Belgrade urban life, with lots of clubs and bars. Within 7 minutes of light stroll you can get to the main Bus station. In front of the building is the bus stop which can get you directly to the airport. 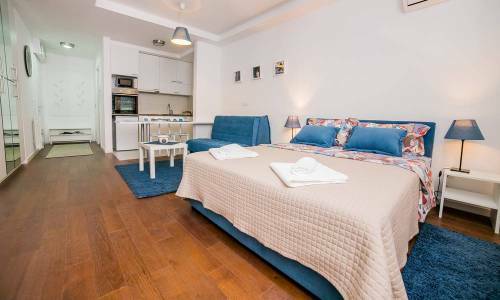 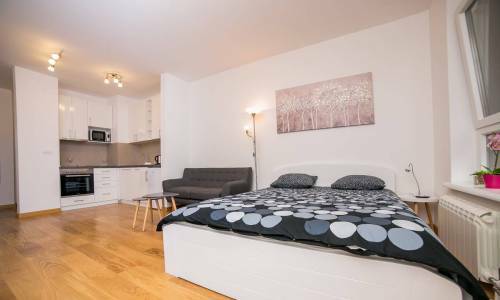 This studio has the size of 33m2 and consists of a central room with a double bed and a fold-out three-seater sofa, so Jazz can accommodate 2 or 4 persons. 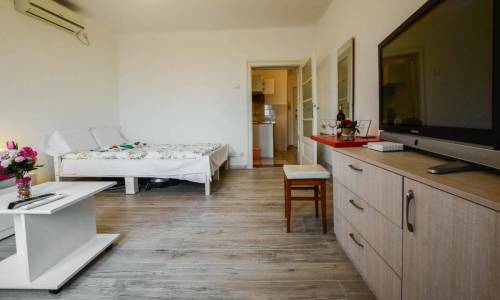 The price depends on the number of persons. 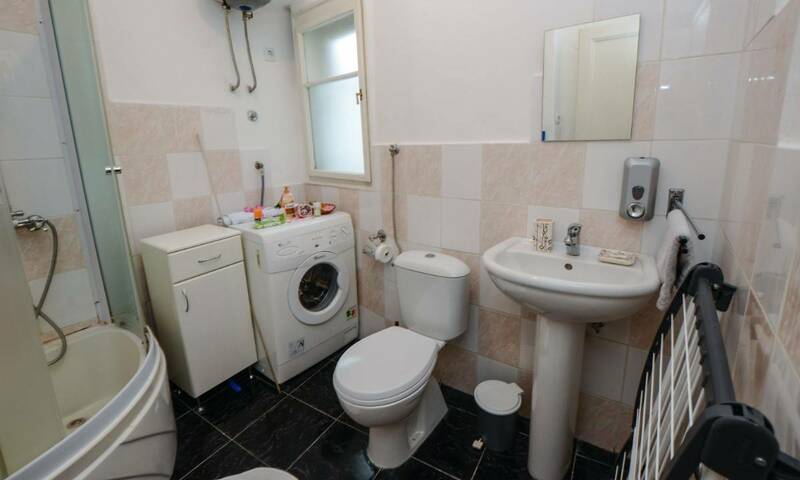 The kitchen and the bathroom make a separate whole. 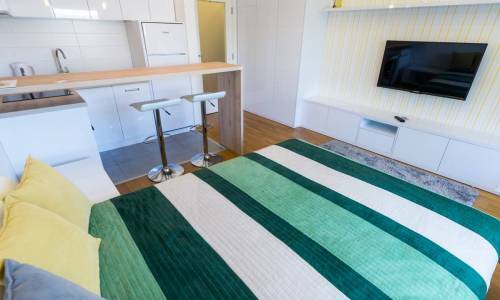 Warm colours, pleasant ambience, superb location, environment and affordable price are what make this apartment stand out. 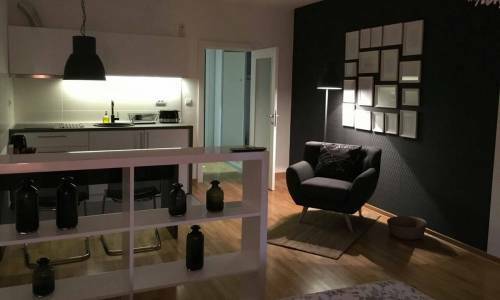 If you're looking for an apartment in good location for 2 or perhaps 4 persons, you should give this apartment a chance.